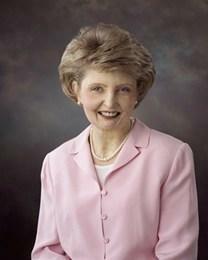 Brenda Vaughn was the wife of Dr. John C. Vaughn, pastor of Faith Baptist Church, Greenville, South Carolina. Together they founded Hidden Treasure Christian School for children with physical, mental and learning disabilities. On May 20th, 1978, an explosion and subsequent house fire in the home of John and Brenda Vaughn resulted in severe injuries to Brenda, and daughter Becky, who was two years old at the time. Little Becky sustained third degree burns over 95% of her body and, while attempting to save her daughter from certain death, her mother, Brenda, sustained third degree burns over 65% of her body. Neither was expected to live. At age 52, I’m looking back on the years I eagerly looked forward to as a teenager. Did my life go according to the plan I outlined? No, but then lives rarely do. I won’t even tell you what my plans were because now they seem so silly and shallow. . The best part of the dream did come true –I have a wonderful husband and 5 lovely children. Oh, and don’t forget, I have the 4 smartest and cutest grandchildren in the world! You see, I didn’t plan pain and hardship for my life. As a teenager I did not know the value of the painful lessons in life. I had experienced plenty of them because of some choices others had made that affected my life. But, I reasoned, as soon as I am in control of my own life, I will make sure that nothing painful happens to me again. What I didn’t yet know is that we are never in control of our own lives. The most important decision of my life came when, as a child, I heard that God loved me, that He had died to pay for my sin, and that if I would believe and trust Him in simple childlike faith, He would cleanse me from the old sin of Adam that I was born with and make me His child for eternity. I believed Him, accepted His free offer of salvation, and escaped hell forever. What a marvelous tradeoff — my sin penalty for His salvation! God was lovingly orchestrating the events of my life to accomplish His eternal purpose for me. At the Christian college where I went to study music, I met the smartest man I have ever known and married him two years later. While my husband was in the Air Force during the Vietnam War, God blessed us with two beautiful children, a girl, Debbie, and a boy, Johnny. “Perfect”, I thought to myself. That was the part of my dream that included having children. (Little did I know that God was going to give us three more children before He considered our family complete!) In 1973, while my husband was stationed in Thailand, God brought people into his life to share the truth of God’s salvation, and he was saved. Shortly afterwards he felt the calling of God to preach. With his term of military service over, we moved to Greenville, S.C. to enroll in Bible college and prepare for the ministry. Our third child, Becky, was on the way. We had no idea how God was going to use her to completely change our lives and the lives of thousands of others. During these years we were learning to trust God to supply food, money, strength, and stamina to get through school. In the fall of 1977, with his degree in Bible, my husband was eager to preach. Faith Baptist Church was a small congregation without a pastor and with no funds to support one. After preaching there one Sunday, my husband told the men he would continue to work and support his family if they felt God could use him in the ministry there. That was 24 years ago and today he remains the pastor of Faith Baptist Church. Seven months after we went to Faith, God allowed an accident in our home which reshaped the focus of our lives forever. I won’t go into all the details here. We have written a book that tells the complete, transparent story of how God was revealing and burning away the corruption in our hearts. One Saturday night I was baking a cake for Sunday dinner, my husband was making a hospital visit, and the children were bathed and ready for bed. Two year old Becky was playing in the kitchen, occasionally disappearing to bring in a new toy. When she didn’t immediately reappear, I found her in the utility room just off the kitchen. Somehow she had managed to remove the lid to the new, red gasoline can my husband had just bought that afternoon. He had filled it with gasoline so he would be ready to mow the grass, but having been called away before he could do it, brought it in from the back yard so that the neighbor children would not get into it and possibly get hurt. His intention was to take it back outside when he returned home. Now Becky had overturned it and the gasoline was spreading into the kitchen. I moved quickly to retrieve Becky, but before I could reach her, the heat from the oven ignited the gasoline and there was an explosion. God gave me His supernatural grace to do what needed to be done. I knew if I didn’t do something Becky would die. As I stepped into the room to pick up Becky, I called to my other children, telling them to get out. The old back door was stuck and hard to open, but we finally managed to get out and down the back steps. I was standing there frantically trying to smother the flames that covered Becky, barely conscious of the fact that I, too, was burning. I was not yet aware of the pain that I would later experience. A neighbor came running to help. He took Becky from me, rolling her on the ground and I dropped to the ground to roll myself. It was a clear night and the stars were out. I remember thinking that at 29 my earthly life might be over. I remember feeling sadness, but even more so, a peace that came from knowing that God had promised me a home in Heaven with Him because I had believed Him for salvation years before. By the time I was able to stand up, the paramedics were already rushing Becky into the ambulance. Although I could hear her crying for me, I was not able to see her and they could not tell me much about her condition, except that it was critically important to get her to the hospital as soon as possible. Later at the hospital, my husband learned that Becky had sustained second and third degree burns over 92-95% of her body. She was in the hospital initially for 14 months. The doctors discouraged us from getting our hopes up for the first seven months. Only God’s grace sustained us through that time. The next 2 years of her life were spent in and out of hospitals for reconstructive surgery. Over 60 times she has endured surgical procedures in the past 22 years. Her survival and retention of her ability to learn and grow is an undeniable miracle. I found Debbie and Johnny huddled together under a tree, and tried to comfort them, finally realizing that my appearance was frightening them. My neighbor’s wife took them across the street to her house to wait for friends who would take them to their home and care for them. The paramedics were urging me to lie down so I surrendered myself to their care. They immediately began to remove tight clothing and jewelry, start IVs and record vital statistics. I became aware of the pain, and I was afraid. There had been no way to get word to my husband, so he arrived home to ambulances, fire trucks, police cars, and a crowd of people in our yard. He knelt by my side and we cried together as I tried to explain what had happened. Through his tears, he said to me, “Honey, I don’t know what God is doing, but we must believe that God is in control, and that He will give us the grace to trust Him.” How thankful I am for that grace of God that enables us to walk by faith and not by sight! Even today, when I find myself in unexpected circumstances — things that frustrate the orderly plan for my day or things that permanently alter the course of my life — I stop and ask myself three questions: Does God love me? Is He in control? Will He do what is right? The answer to all these questions is an emphatic “Yes!” an answer not based on what I feel at the moment, but based on the unchangeable promises in the Bible. The Word of God is the key to having peace in the midst of the storm. In it are all the answers to the problems of life. He assures us of His constant presence and His sufficient grace (more than enough, not just enough). Grace is the God-given ability to do right when we don’t want to do right or think we are unable to do right. We know we must do right so we pray for God’s grace and He promises to give it. That grace causes us to persevere when it seems impossible, to endure overwhelming pain and loss without becoming bitter. The road ahead was long and hard; indeed, we are still traveling it. My injuries were severe. I sustained second and third degree burns over 60-65% of my body and spent the next 7 months in a hospital in Charleston, S.C., separated from Becky. It would be Christmas Day before I would see her again at the hospital in Cincinnati, Ohio. After that visit, it seemed that her spirits lifted and she began to improve. At last the doctors took her off the critical list. Now, at age 25, she has a sweet spirit and a desire for God to use the trials in her life to help others who are hurting find hope and peace through Christ. Ask me now if I would change the circumstances of my life and I will answer, “absolutely not!” Although the things that have happened were not part of my plan, God’s plan has taught me so much about Him and about His heart’s longing to have fellowship with me. Through failure, I have realized my total inability to do anything except sin apart from His grace. He is my dearest Friend, my Savior, and my Heavenly Father. I look forward to someday living with Him forever. Jeremiah 31:3 says “…Yea, I have loved thee with an everlasting love: therefore with loving kindness have I drawn thee.” Another one of my favorite verses is Jeremiah 29:11, “For I know the thoughts that I think toward you, saith the Lord, thoughts of peace, and not of evil, to give you an expected end.” We never have to be afraid of God’s will because this verse tells us that His thoughts toward us are of peace and not of evil. Friend, don’t miss out on God’s plan for your life. He won’t lead you the way he led me. He has a different plan for your life, but you can be certain it is the best possible means to achieve what He created you for –Christlikeness. Knowing that brings peace. The fire for the Vaughns was not a tragedy. God has done marvelous things in our lives and in the lives of others through the ongoing burning away of the dross in our lives. A true tragedy is that some go through the “fires” of this life, and then go on to spend eternity in the fires of hell because they reject the free gift of salvation provided by our heavenly Father through the sacrifice of His beloved Son. Won’t you trust Him today?